Government has committed over $1 billion for road construction and rehabilitation with various projects underway across the country under the 2019 Road Development Programme. Funding for this flagship project, which is the biggest road project in 20 years, is being mobilised from the two percent Intermediated Money Transfer Tax as well as the Zimbabwe National Road Administration Infrastructure Bond, as President Mnangagwa's administration pursues its development trajectory. According to the 2019 Infrastructure Plan released by Treasury last year, the rehabilitation of the roads through private-public-partnerships has been difficult, hence the switch to seek financing from the domestic market. 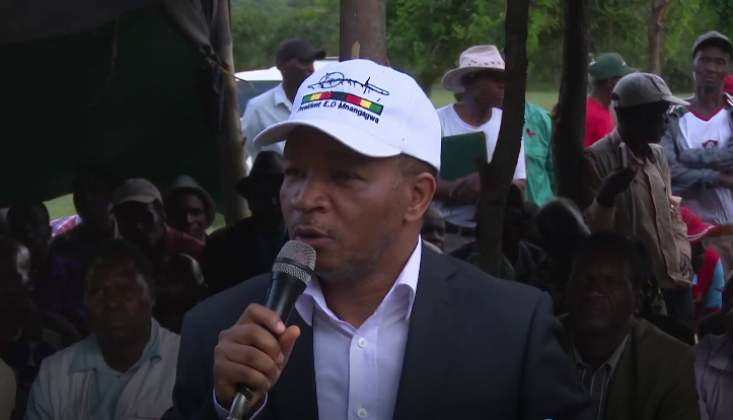 Transport and Infrastructural Development Minister Joel Biggie Matiza, who is carrying out a nationwide tour to assess progress of the various roadworks, said Government's thrust was to refurbish existing roads and construct new roads which befit an upper middle income economy. "As we embark on our 2030 vision, which aims to transform Zimbabwe into an upper middle income economy, we must construct roads which befit that status. There is quite a lot of work going on some of the projects which have been pending for a while without work going on," he said. "We are coming of a recessionary situation. Our roads need to be revamped to a situation where we have a national standard or even SADC standards of roads so that we are able to ply there and do our economic deliverables easily." The road dualisation programme for State roads and upgrading of gravel roads is in line with Government's Transitional Stabilisation Programme, which outlines that "the road, rail and air sub-sectors are critical in rapid industrialisation and agricultural advancement as they facilitate trade and movement of goods and people, hence, the need to rehabilitate and upgrade the current stock of assets". The TSP document further states that the comprehensive Roads Development Programme, with support from the fiscus, is targeting upgrades from gravel to bituminous surfacing at an average cost of US$500 000 per kilometre. The target is to complete 20km for each gravel road every year until completion. Through the fiscus, over US$250 million has been released for roadworks. Minister Matiza said the roads should be done properly and there is need for quality control as Government was not interested in "seeing just black tar". He said tenders were being drawn up for consultants to come and assist road authorities to ensure that roads can last up to 20 years. "We are introducing the project management programme in the ministry. As I speak, tenders are being prepared to get other consultants to come and assist provincial road engineers to make sure there is quality in the roads. We know we have challenges of manpower in some areas in terms of experience," he said. "We have experience out there in the private sector and we want them to participate in this national programme which have seen us doing a lot of work over a short time. Before the coming in of the new dispensation there was no activity taking place but now 1km a day or more." He said the new dispensation was geared to revamping the country's roads. Writing for The Herald last week, Finance and Economic Development Minister Professor Mthuli Ncube said construction was at the heart of Government's agenda. "Indeed, building is at the heart of our agenda, in particular road building. This essential infrastructure is arguably the most important of all our public assets, contributing to economic development and growth whilst providing access to economic opportunities, employment, health and education services," he said. "It connects Zimbabweans and levels the playing field. All Zimbabweans have the basic and fundamental right to access healthcare, access markets, and the freedom of movement. Roads, therefore, are key. Drawing from the short-term Transitional Stabilisation Programme, the 2019 Infrastructure Investment Plan, with an allocation of over US$900 million, targets to more than double our investment in the road sector." He said Government was upgrading 781km of Zimbabwe's road network, re-gravelling 483km and constructing 22 bridges. Minister Ncube said each of the targeted roads has been identified including specific works for the year, which provides an opportunity for citizens to monitor progress in implementing planned works. The District Development Fund is gravelling and regrading at least three feeder roads per province, while urban and rural local authorities are up-scaling the road rehabilitation exercise for roads under their purview.